I just love brownies, chocolate fudge cake and the like. As a result of eating too many of those –so my dietician told me- I have gained weight over the past years. According to my dietician, somebody’s body weight depends on the ratio of their caloric input and output (i.e. someone’s personal ‘energy balance’). I also believed that. Until recently. As you can see from this graph, I’ve been on quite a few diets. But often, as soon as I had lost a few pounds, they came back when I lost my appetite in carrots and hunted down the chocolate aisle again. In the nineties, I did quite a bit of sports, which prevented my weight from increasing too much. I’ve stopped since; it just makes me tired. Over the past 8 years, despite the yo-yo effect of sometimes losing as much as 5 kg over the course of a few months, my weight has increased. My dietician told me that unless I change my eating and sporting habits in a sustainable way, my weight will probably keep yo-yo-ing up. I was gonna go back to drinking carrot juice again, but then somebody pointed out that my weight increase had nothing to do with my eating too much chocolate or anything like that. Huh? Wow, if that’s the case, then I’ll stop my carrot juice diet right now and run to the corner store for a box of mars bars!! And I’ll cancel further consultations with my dietician. Energy balance… such nonsense. Never thought I’d be so happy with a root! PS: This post is not meant to ridicule the arguments made in favor of a unit root. It is meant to draw attention to the fact that the physical (or biological in this case) context of the quantity we’re investigating is very important. If someone is riding a bike downhill, I could wonder if the bike could have gotten to where it is all by itself, and conclude that I cannot possibly predict when the bike will reach the valley. But that ignores the (deterministic) effect of the guy who is riding the bike. Share your favorite analogy in the comments! It’s part of Peter Sinclair’s (a.k.a. Greenman3610) “climate crocks” series. The CO2 concentrations are plotted on a logarithmic axis because the temperature effect of CO2 is logarithmic. 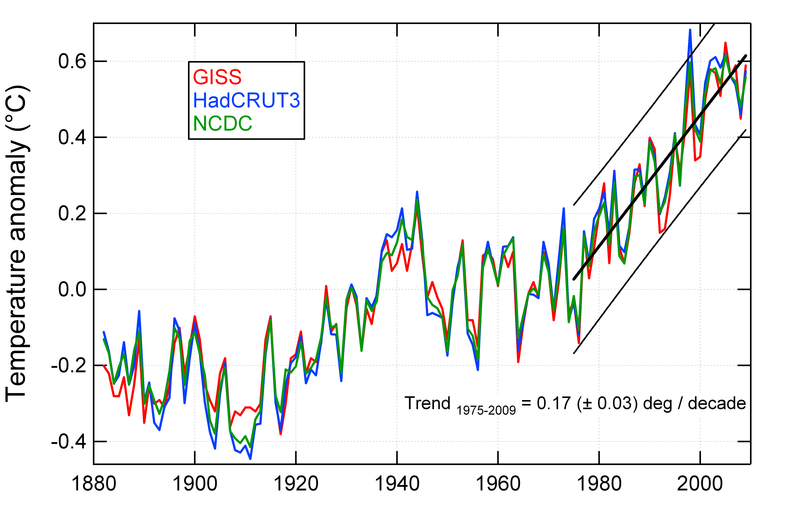 The 11 year running mean through the yearly temperature anomalies is given by the thick colored lines. Before the 1970’s, the temperature trend was more or less flat for a few decades (see also the graphs in this earlier post). 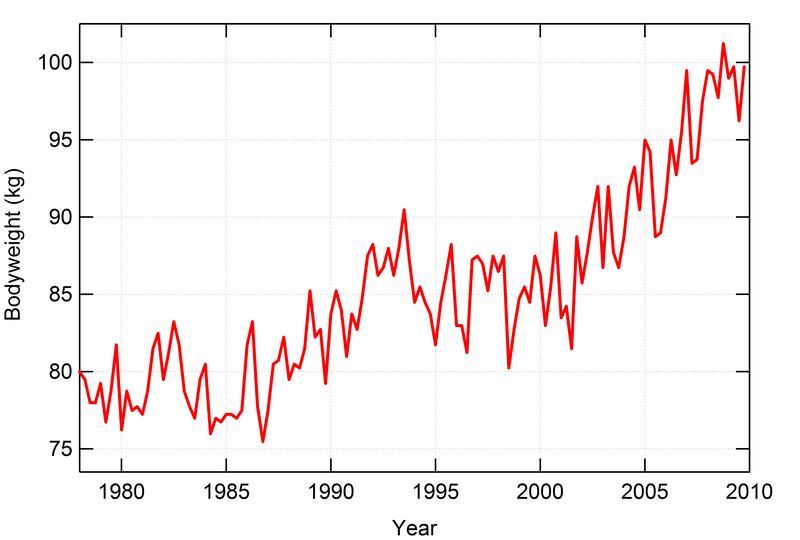 The strong increase in cooling aerosols (resulting from e.g. 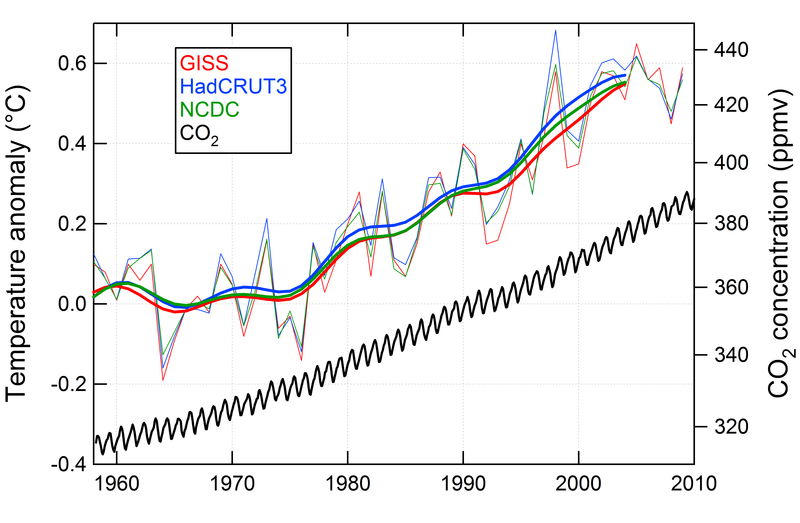 SO2 emissions) counteracted much of the greenhouse warming over that period. 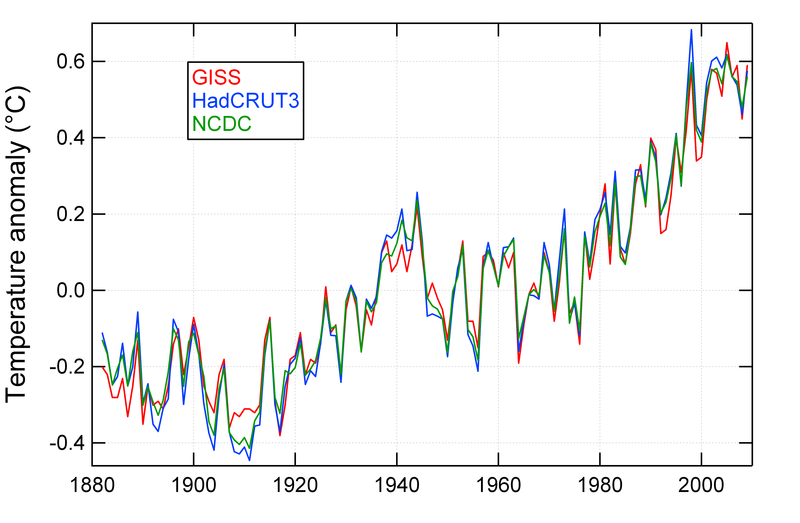 Since that time however, greenhouse forcing has been dominant, resulting in the temperature and CO2 trends following a similar pattern (at least over the multi-decadal timescale; short term variability is heavily influenced by e.g. El Nino/La Nina, major volcanic eruptions and other natural phenomena). 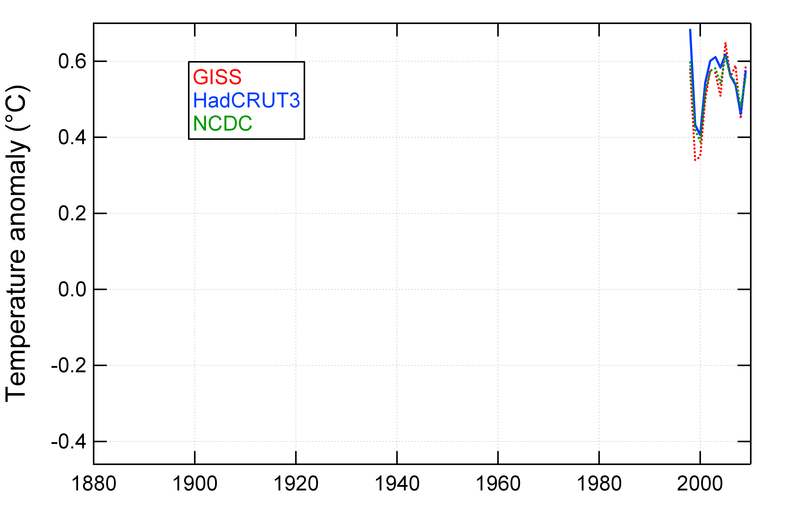 A graph of the time evolution of relevant known climate forcings over the past 130 years can be found here. – There are more factors than only CO2 that influence global average temperature. – The expected trend in temperature does not necessarily rise above the expected level of yearly variability over the course of a decade. 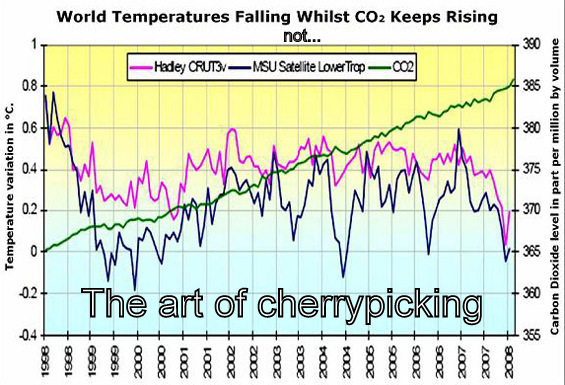 – The graph purposefully starts at a record high temperature (1998) to maximize the visual impression of “falling temperatures”. It also strongly depends on the specific datasets used. This is a clear example of cherrypicking. Using the same logic as this graph is based on, one could also falsify the theory of gravity by pointing to a bird in the sky (conveniently forgetting that there are more forces than gravity and that the bird has wings). 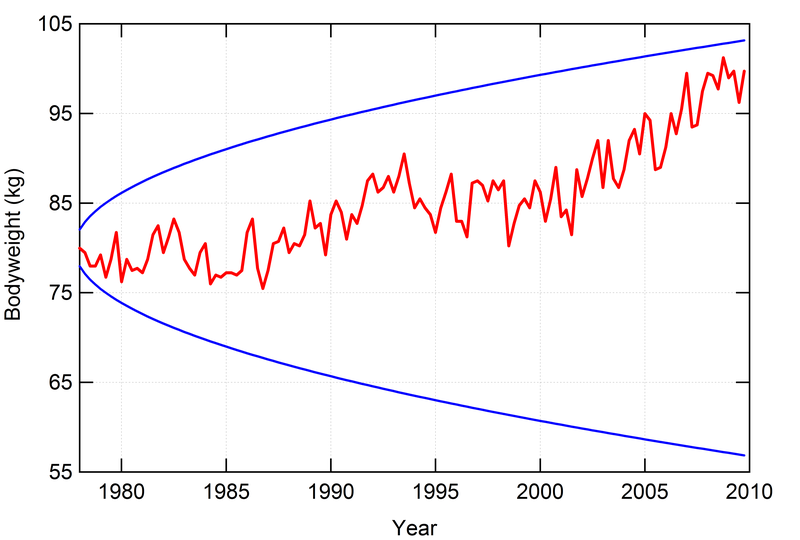 Is the increase in global average temperature just a ‘random walk’? – Anonymous commenter “VS” claims that according to some statistical method, the increase in global average temp is not statistically significant, and that global average temperature behaves like a ‘random walk’. Heiko confirms with a simple excel exercise that under the assumption of stacked cumulative errors a quantity can wander off in any direction in the absence of a forced trend. 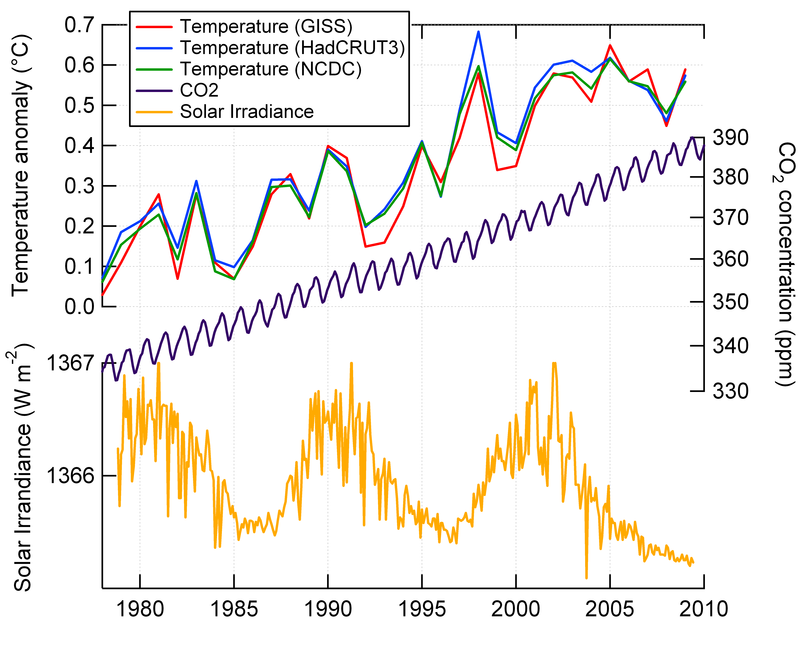 – The applicability of said statistic and of the assumption of stacked cumulative errors is questionable in light of the physical nature of the climate: Temperatures continuing to wander off towards warmer values without a change in radiative forcing as the driving factor would cause a negative energy imbalance, which would force the temperatures back to where they came from: Equilibration. There’s conservation of energy after all. In general, long term changes in global avg temp are the consequence of a non-zero radiative forcing, whereas temp juggle up and down without a clear trend if there is no net radiative forcing acting upon the system. 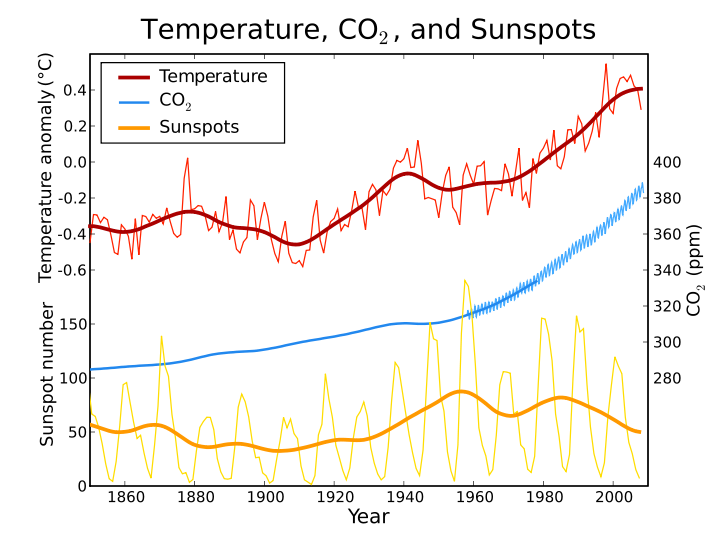 – Radiative forcing of climate is reasonably well known (at least that of the greenhouse gases and of natural forcings such as changes in the output of the sun; much less so for aerosols). The net forcing is positive, so we know that the temperature is being pushed into the warmer direction. I.e. we know that it in this case the warming isn’t random. The question is then: Could such a warming theoretically be observed even in the absence of a forcing? I think not, for the physical reasons stated above (equilibration). But it’s a bit like asking if the bike could have moved downhill all by itself, even if you see that someone is riding the bike downhill. Interesting question for a late night drink at the bar, but not very relevant to the question of how the bike got to the bottom of the hill. Let me add though that understanding the nature of natural variability in global temperatures is definitely important, and the discussion in the previous thread was definitely thought provoking. – Changes in atmospheric temperatures are not the only sign of a warming climate. There is the increase in ocean heat content, decrease in Arctic sea ice, thinning of Greenland and Antarctic ice sheets, retreat of glaciers, changes in ecology (e.g. growing season, blooming of flowers, etc), sea level rise, etc. Is this all coincidence? How lucky do you feel? (*): I’ll admit that my knowledge of statistics is not such that I can argue the details of a statistical analysis. Instead, I’ll argue mostly from a physical perspective. I think that’s entirely appropriate –necessary even- in trying to understand a physical system. Conservation of energy is probably a sufficient reason to dismiss the idea of a random walk in temperatures. (**): If you feel lucky, you may want to arrange a bet about future warming (or lack thereof) with e.g. James Annan or Brian Schmidt. Update: Related discussions of the chaotic nature of climate here, here and here. Tamino chimes in as well. 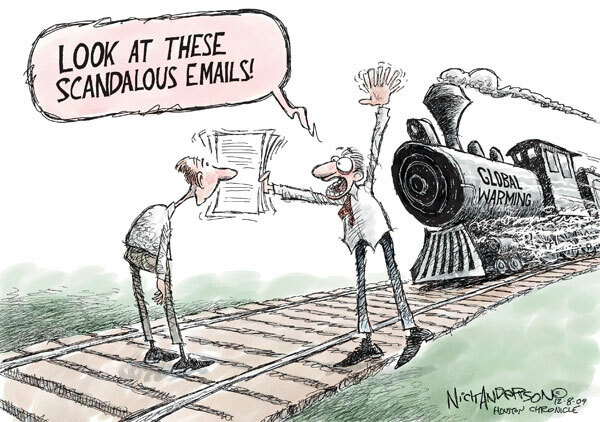 RealClimate has a good post on the recent string of (alleged) errors in the IPCC report. It explains the IPCC proces, the nature and significance of the errors, and highlights the spin put on them by several media outlets.